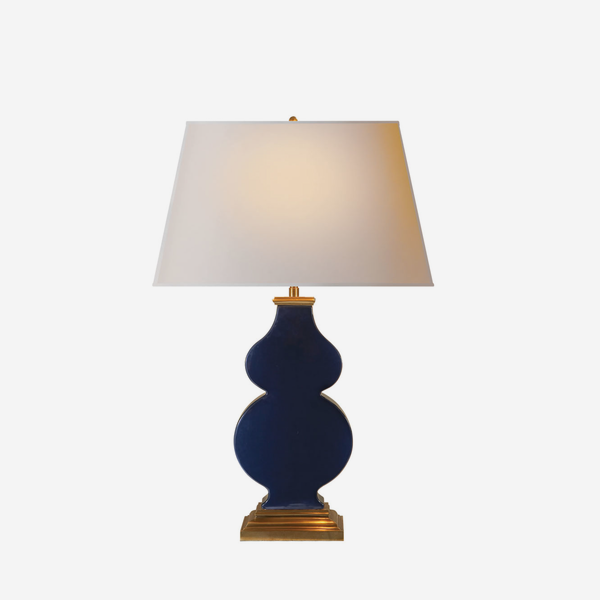 A gorgeous midnight blue porcelain table lamp with an undulating silhouette. 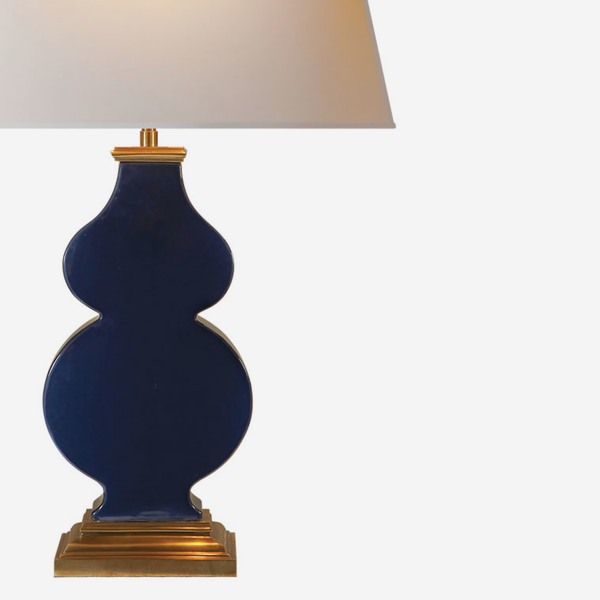 Designed by Alexa Hampton, Purdy adds interesting shape to a room and is elegant and feminine. With antique gold finishes and a slick geometric shade, Purdy adds design-led extra to traditional and contemporary interiors alike.